Need a Clutch Is Not Working Inspection? How Much does a Clutch Is Not Working Inspection Cost? Most vehicles purchased these days are selected with automatic transmissions, but most performance models and older vehicles are equipped with a manual transmission to select gears. One of the most important parts of this system is located between the engine and gearbox – the clutch. 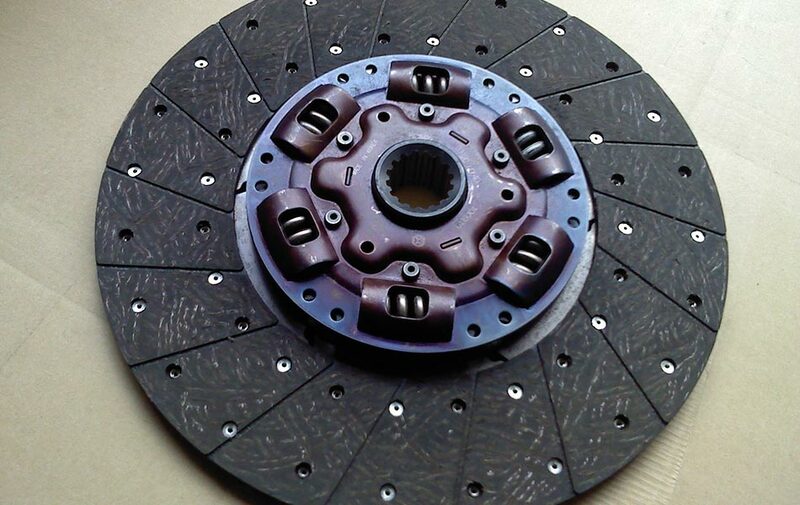 The clutch disc assembly is made up of a friction material that wears out over time, depending on driver operation and what the vehicle is used for. Depending on your driving style, the clutch on your vehicle may last over 200,000km, but will eventually wear out and require replacement. The clutch system is what transmits the drive from the engine to the gearbox, but also allows the engine and transmission to be disconnected – for changing gears or placing the vehicle in neutral. The main components of the clutch system include the master and slave cylinders, clutch disc and pressure plate, flywheel, clutch fork and the release bearing. When you place your foot on the clutch pedal, the master cylinder pushes fluid down to the slave cylinder, which operates the clutch fork and pushes the release bearing against the clutch pressure plate, releasing the clutch pressure. This allows the clutch disc to disconnect from the flywheel, which separates the engine and transmission, allowing for gear changes and for the transmission to be placed in neutral. Once the pressure on the pedal is released, the opposite occurs. The pressure plate forces the clutch disc against the flywheel, transmitting power from the engine through the transmission. The clutch master cylinder and slave cylinder are the components that transfer the movement of the clutch pedal down to the gearbox and the clutch itself. As the clutch pedal is depressed, the clutch fluid moves from the master cylinder down to the slave cylinder, which operates the clutch. If either of these components start to leak, the clutch pedal may seem spongy, stay on the floor, you may not be able to shift gears correctly or clutch fluid may leak under the vehicle or into the cabin. Clutch fluid is the same as brake fluid, and some vehicles actually share the brake and clutch fluid in the same system. A leak in this system will cause issues with changing gears and the clutch pedal may feel spongy or stay on the floor after being depressed. Clutches are designed to slip a little when changing gears or taking off. When engaging the clutch, a little slip allows for smoother shifting and easier takeoffs, but should not slip at all when the vehicle is in gear. You may first notice the clutch slipping when the vehicle is under load, such as going up hills, or accelerating to merge onto a highway. A slipping clutch will overheat, which can cause damage to the flywheel and the pressure plate. Clutch slippage is the first symptom of a worn clutch plate, and should be inspected as soon as possible, to eliminate further damage. This can be caused by oil leaking onto the clutch disc surface, or a warped clutch disc or flywheel. The vehicle may still be drivable, but it is advised that as soon as you start to notice the shudder or vibrations, to take it to a mechanic for inspection. How is the Clutch Inspection carried out? Our mechanics will test the operation on the clutch, inspect all fluid lines, master and slave cylinder and test drive the vehicle to identify any issues with the clutch system. A quote will be provided for any repairs, if required. Having your clutch system inspected and repaired is vitally important for the safety of you, your family and other motorists around you. Ignoring the warning signs can also lead to expensive repair bills, as further damage may be caused by continuing to operate your vehicle with an issue.